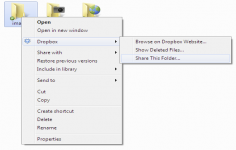 Transport files on an external drive or other removable storage media can be avoided when using Dropbox, a great solution to quickly save, share and synchronize files and folders between a storage space online, several computers and even smartphones. 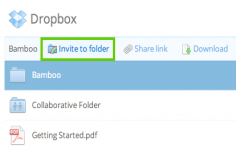 DropBox is an application tool that allows the user to synchronize and share files on the web. This is the software of the most popular cloud. Through the creation of a free account, there is a default storage space free 2GB online via a sponsorship mechanism , arranged for a free account space can be expanded up to 10. DropBox installs a new folder on the hard disk, whose contents will be automatically synchronized with the DropBox account and remote stored on the Internet. So the user will have all the documents on all workstations without carrying on a USB stick. Once the application is installed, it automatically creates a new folder on the hard disk. The user just needs to put the desired files to sync and share online. Placing photos and files in that specific folder (drag and drop or via the context menu) and sharing them with friends through invitation system or go public is very easy. 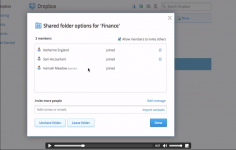 Users can share all kinds of data with DropBox. Indeed, it can put in the new issue of music, photos, text or documents. In addition, it can use the context menu to place the file in the folder. The site also offers a service of online documents, although this downloadable module is not installed. Curently we don't have any log information about Dropbox version 70.4.93 Cloud Storage for PC Windows. We will this change log update soon!